Today’s events are tomorrow’s history. 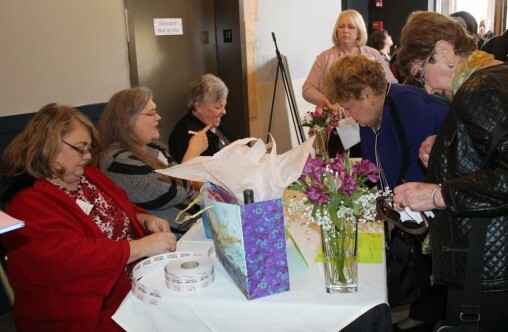 Preserving the stories and records that make up the history of the Knoxville and East Tennessee Jewish community, the Archives consists of a collection of documents, photographs, video and oral interviews, and other media related to the people and the organizations of the area. The Archives makes these materials accessible for research into genealogy, community history and local Jewish organizations. The Archives is not only a repository of material, it helps form a story of who we are and who we have been as a Jewish community. Dozens of families have their personal papers in biography files; hundreds of documents and photos describe life in Jewish Knoxville during the last 140+ years, and many wonderful oral histories of Jewish leaders, “pioneers” and long-time residents have been taped and video recorded over the past three decades. Every picture and document can tell a story … and there are many untold stories behind the folding walls in the AJCC Boardroom waiting for researchers, genealogists and writers to bring them to life. Supported by a private grant and by the Knoxville Jewish Alliance, the KJA Archives is guided by a devoted committee of the Alliance, who delight in collecting, cataloging, interviewing the people and preserving the history of this unique community. The entire community is encouraged to share their photographs, records and papers, regardless of the longevity of their residence in Knoxville. Click here for the history of the KJA Archives. Subject to space considerations, we will be delighted to accept your donations of such materials. We ask that you be sensitive to the fact that archiving incurs considerable expense. If you are considering the donation of a substantial family collection to the archives, please consider making a monetary donation to offset the cost of its maintenance. 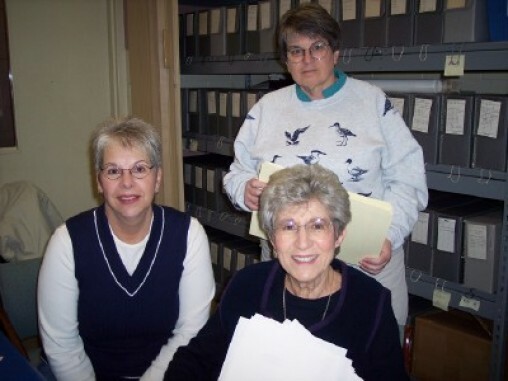 Joani Leeds (left), Barbara Bernstein (in front) and Nicki Russler (right)- members of the Archive Committee at work. The KJA Archives are open for research during most months of the year on the second, third, and fourth Mondays from 1-5 p.m., and by appointment at other times. During the summer months when camp is in session the Archives are open some Monday evenings by appointment. Please call 690-6343 before 4:30 p.m. (or contact Nicki Russler, KJA Archivist by email to make an appointment since someone will have to come to the door to let researchers in during evening hours.